The agreement was signed in Visakhapatnam in southern India in the presence of the Indian Minister of Defence Nirmala Sitharaman and the Defence Minister of Singapore Ng Eng Hen. 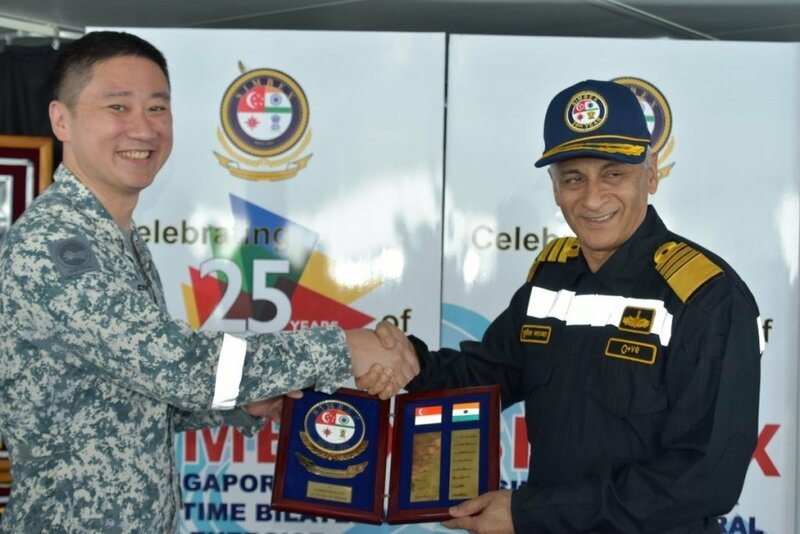 Between 10th and 21st November 2018, the navies of India and Singapore took part in the 25th Singapore-India Maritime Bilateral Exercise, SIMBEX, which was held in the Andaman Sea and the Bay of Bengal. In the framework of the exercise, unmanned and manned aircraft participated alongside surface warships and submarines. The activities of the SIMBEX involved live-fire with missile launches, heavyweight torpedo and medium-range gun/anti-submarine rocket firings, submarine rescue demonstrations, advanced anti-submarine warfare exercises, integrated surface and anti-air warfare, cross-deck helicopter flights, and UAV operations. Sitharaman reaffirmed the belief of India that disputes should be solved peacefully in accordance with the principles of the international law as reported in an Indian MoD statement. Hen shared the opinion that Singapore supports the deep engagement of India with ASEAN member states, in particular in regard with the patrols of the Strait of Malacca and added that Singapore expects that soon there will be a trilateral maritime exercise in the Andaman Sea together with Thailand. In June 2013 the Republic of Singapore signed a five-year contract with India, which enabled the Army and Air Force of Singapore to use Indian military facilities for training purposes. As of the moment Singapore is the only country to which India has offered its military facilities for training and that agreement was now renewed on 20th November. In addition, it shall be reminded that in June 2018 India and Singapore signed an agreement in regard to logistics and services support for naval aircraft, naval ships, and submarines, including shipborne aviation assets.